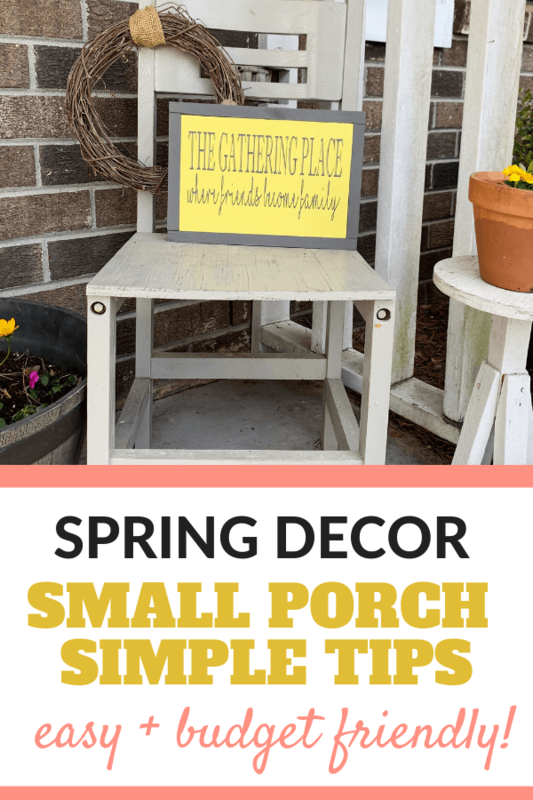 Looking for small front porch spring decor ideas? 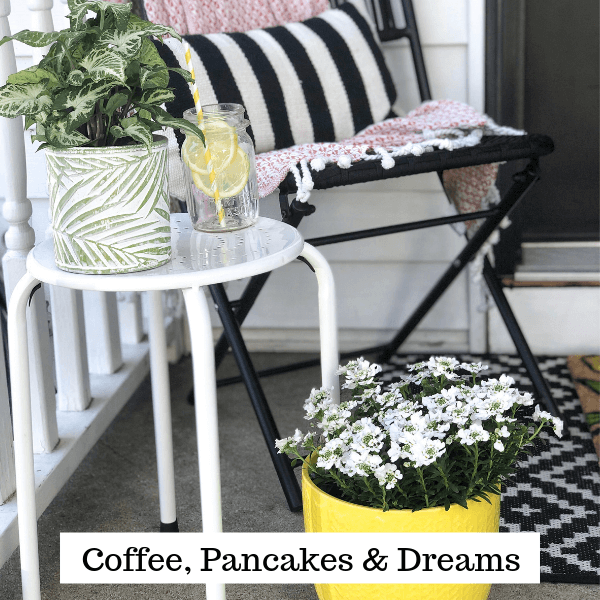 I am sharing some simple and easy tips for decorating your porch. Decorating our small front porch for spring is always fun. I love being able to refresh the area and brighten it up as the weather warms up. I also love being able to decorate on a budget. 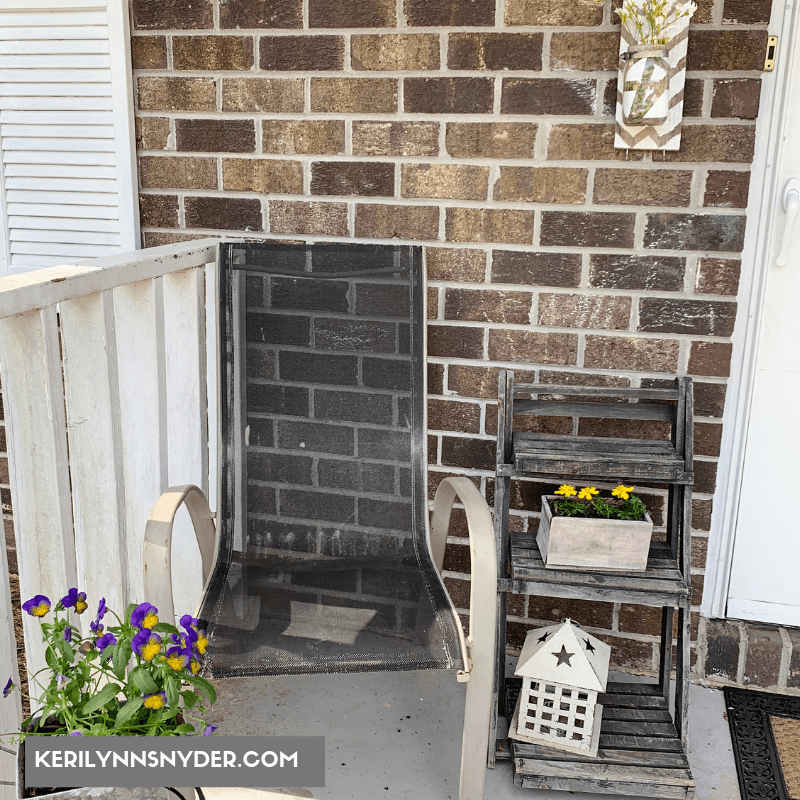 It is amazing what you can find used that is perfect for a front porch. This chair was sitting by the curb. I removed the pad and repainted it for a cute decorative chair. The little ladder was a Goodwill find. Whenever you find things, remember, you can always paint the majority of items. I did not paint the ladder as I was looking for a rustic look. Look around your house, do you have any containers that would be perfect for flowers? I love having bright flowers on our porch, welcoming others in. If you are uneasy with flowers, go with easy to manage flowers! Even with a small front porch, you can add little elements to brighten the space each season! 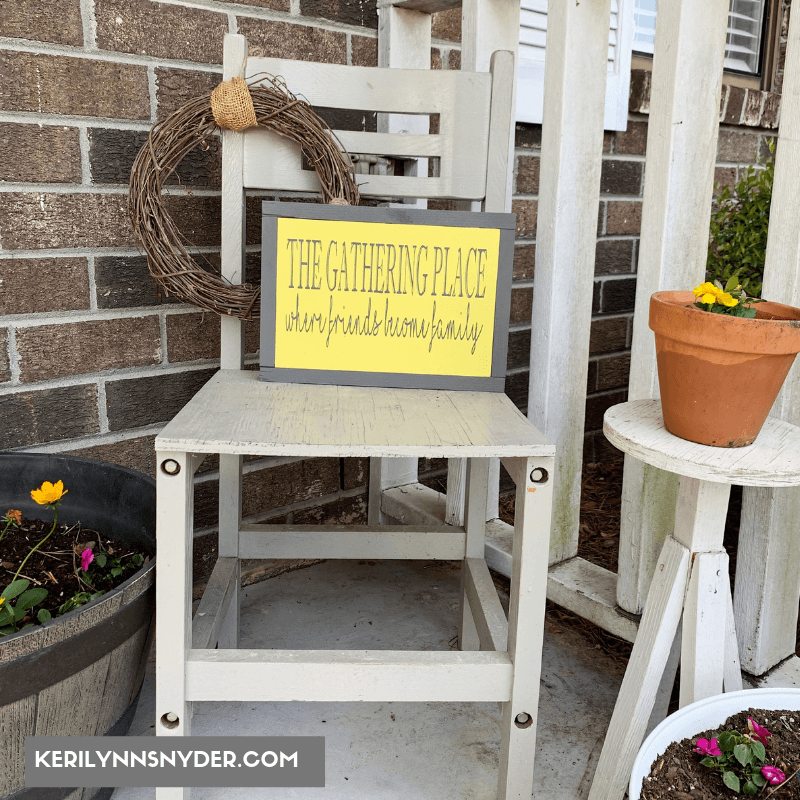 Check out all of the other Spring Porch Refresh Ideas from my friends! 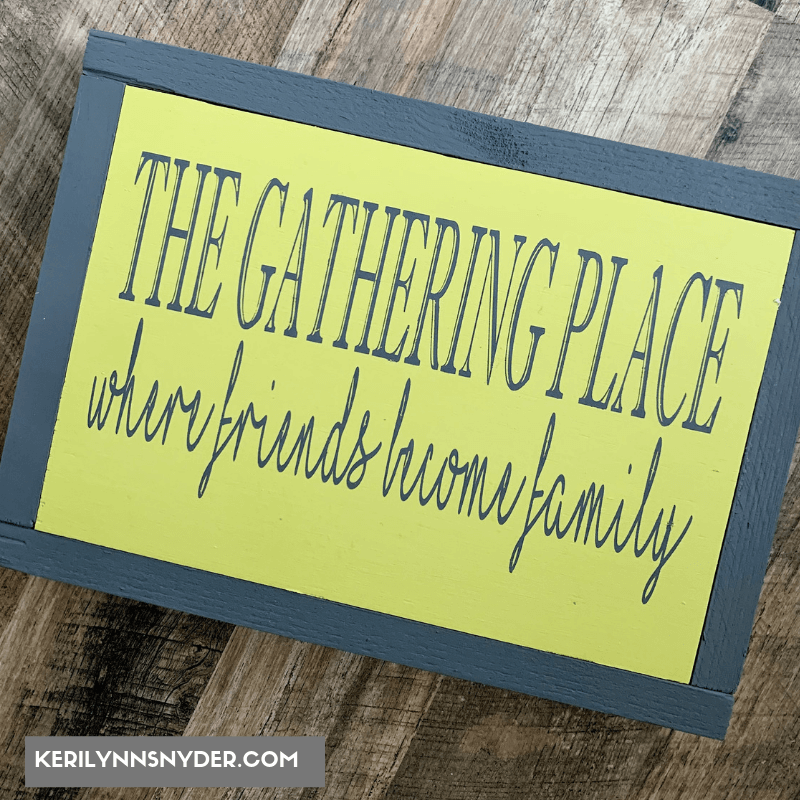 I am loving the looks of Jaclyn’s porch with her yellow and black look. She is sharing some more excellent inspiration here!